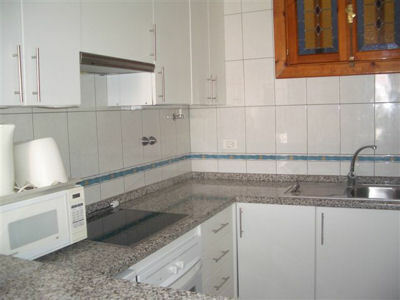 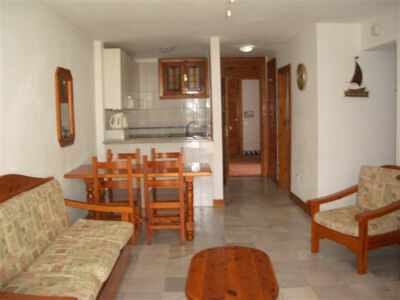 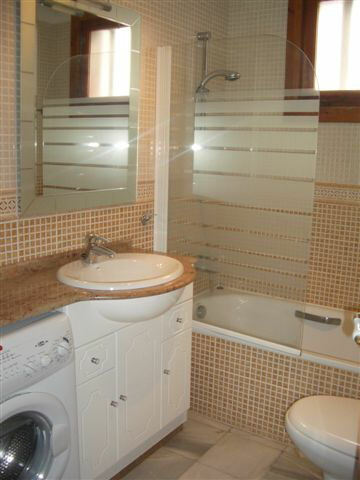 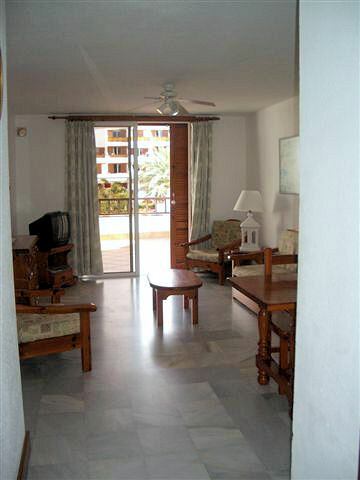 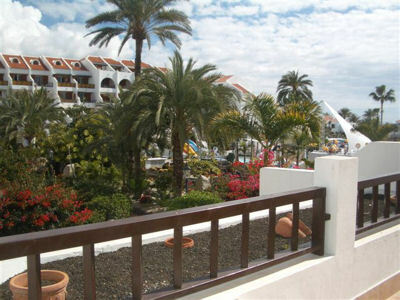 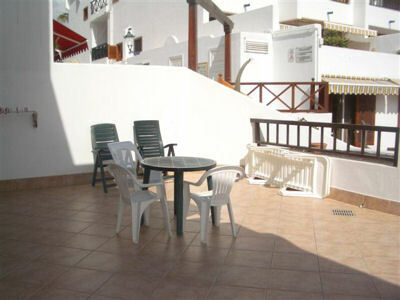 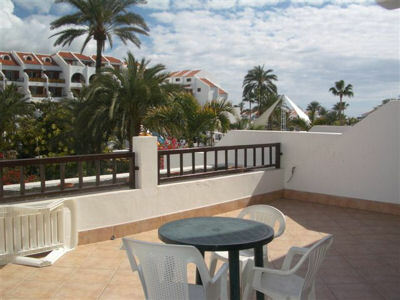 This is a two bedroom apartment on the La Gomera block of Parque Santiago III. 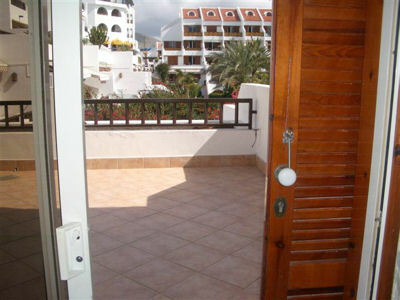 It is ground level as you walk in the front door, but the balcony on the pool side is on the 1st floor. 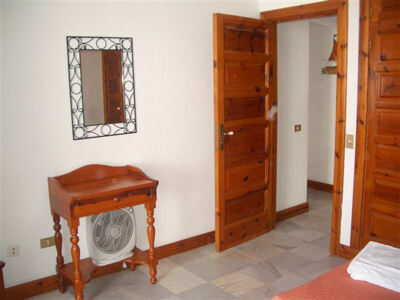 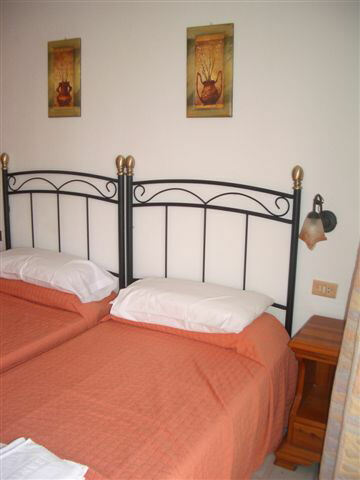 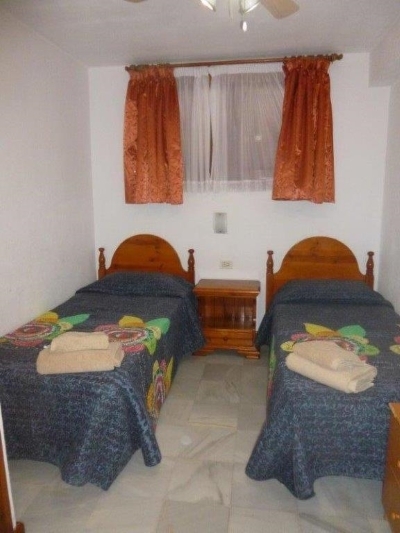 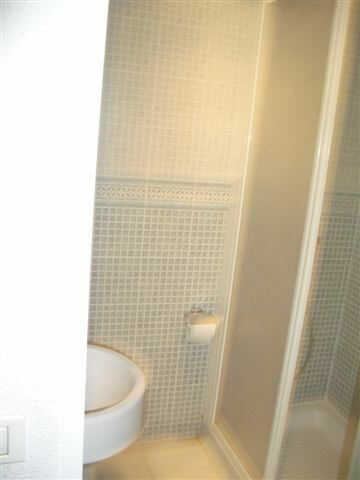 There are 2 bedrooms each with 2 single beds and 2 bathrooms (1 with bath and 1 with shower). 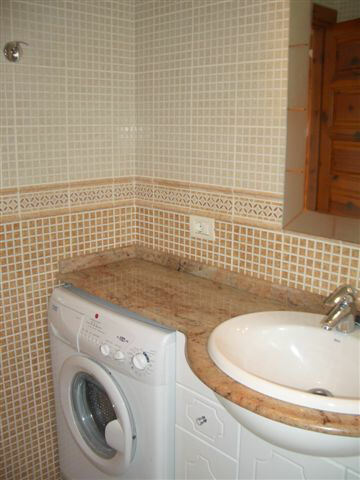 The apartment also has a washing machine.